Hakkında: Fotorama based full-screen slideshow. It can replace a default picture view - start amazing slideshow from album. 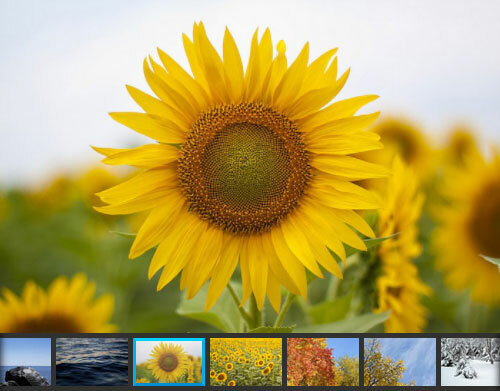 Fotorama is a simple, stunning, powerful jQuery gallery. Licensed under the MIT. Fixed problem with an apostrophe (') in gallery title. Minor improve with image title caption. Added only fullscreen mode - start fullscreen immediately. Split settings for thumbnail view in fullscreen and picture mode. Improved non-native (window) fullscreen mode.